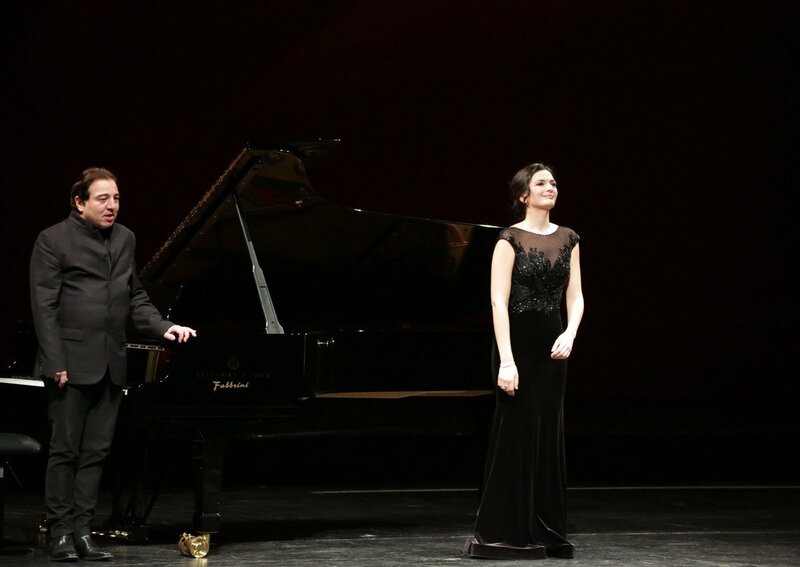 Mezzosoprano Marianne Crebassa and pianist Fazil Say gave one of the most unusual and bewitching recitals ever seen at La Scala. 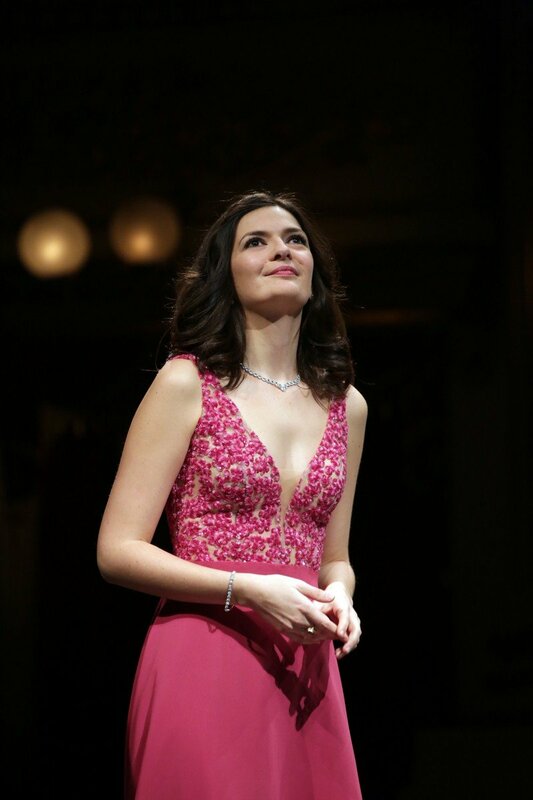 The programme was based on their CD Secrets, which won Gramophone Magazine’s Solo Vocal Award in 2018. Mezzosoprano Marianne Crebassa and pianist Fazil Say gave one of the most unusual and bewitching recitals I have ever seen at La Scala. The programme was based on their CD Secrets, which won Gramophone Magazine’s Solo Vocal Award in 2018. Crebassa’s naturally produced mezzo — recalling Frederica von Stade in both vibrato and emission — brims with powerful rich colours, especially in the centre of the voice, yet it comes from such a slender frame. Her model’s body and chic dresses with hints of theatrical sparkle contrasted dramatically with Say’s hunched, black figure at the keyboard. Yet both were magical. Say conducts an invisible orchestra as he plays, a free hand coming up to waft the sounds from the strings of the piano, he also has a Glenn Gould hum, and often looks up as though he’s spotted an inspirational deity on a cloud. His playing draws you in, with breath-taking extremes of dynamics from his perfectly equilibrated pianissimi to his thunderous attack of the lower notes of the piano. The piano tuner was still onstage as the theatre opened its doors and was needed again during the interval – rare for a recital. After just three short Claude Debussy chansons, Crebassa left the stage to Say for 20 minutes. He played Erik Satie’s Trois gnossiennes ravishingly, before a piece of his own which both raged and was tender with eccentrically paced changes of mood. It may not have been wholly satisfying as a piece as it rambled without an apparent direction — it felt as though it was about to finish many times — yet was fascinating throughout. Maurice Ravel’s Shéhérazade, in a version for voice and piano, was performed tenderly and intensely by both artists. Maybe it was knowing that Say is Turkish, but the oriental flavours were more evident here than in the more usual orchestral accompaniment. More Debusssy, with Fauré and Duparc, led to the final part of this exotic recital, which was all music by Fazil Say: two pieces written after the violent suppression by the Turkish government of crowds protesting against plans to construct a shopping centre on Istanbul’s Taksim Gezi Park in 2013. It is one of the few green areas to survive in the area. Nine people were left dead. The piano tuner arrived once more to remove the music rack so that Say could manipulate the strings with his hands. The percussive effect of Gezi Park 2, a sonata in four movements, was produced by dampening or striking the strings as the piano’s hammer hit. It was threatening, strange, and the motif returned continually like destiny knocking. It wasn’t all dark, and some jazzy moments lightened the mood. The third movement is dedicated to Berkin Elvan, a 15-year-old Turkish boy who died during the protests. The last piece, Gezi Park 3, is a vocalise, and forced Crebassa to use every weapon in her vocal armoury with its persistent, loud lower notes competing against Say’s thundering piano followed by the quietest of oriental phrases. This appears to be Say’s characteristic as a composer (and performer): extremes of contrast… maybe unsurprising for the boy from Ankara. The one encore was “Voi che sapete”. Well, 27 January — the day of the recital — was the anniversary of Mozart’s birth, and here was another Crebassa. Not a singer communicating a poem, a mood, a story, but a singer inhabiting a character. She is a fine actress and found just the right balance between communicating Cherubino’s awkwardness and youth while remembering that she was still on a recital platform without opera stage garb. A little gem. 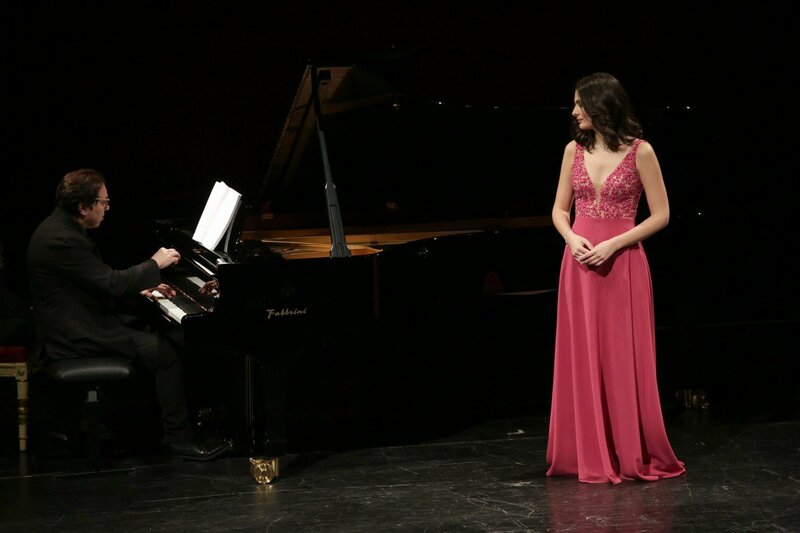 Curious note: Fazil Say married fellow pianist Ece Dağıstan in the Turkish Consulate in Milan two days before the concert.